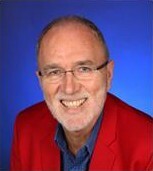 Professor David McKie combines consulting and research in strategic communication and leadership at Waikato Management School with special interests in the areas of action learning, complexity science, creativity and innovation, emotional intelligence, and public relations. He is a Scot by birth, an Australian by naturalisation, and a resident of New Zealand by choice. David has co-authored four academic books including (with Dr. Vikram Murthy in 2009), Please Don’t Stop the Music: An Ensemble Leadership Repertoire for Productive Sustainability, and Strategic Innovation, and he has also published over 25 book chapters, over 50 refereed journal articles, and delivered over 100 international conference papers. He is currently involved in writing two other books including a successor to Emotional Intelligence. David has worked with many of the leading organisations in New Zealand (including a ten year leadership development programme with Telecom NZ and trainings with the 2012 Waikato Chiefs, Fonterra, and Zespri). As CEO of RAM (Results by Action Management) international consulting, David also has international consultancy experience in private and public sectors in Australia, China, Europe, Korea, India, the Middle East, Sri Lanka, and the U.S. Qualified as an Action Learning coach, an Emotional Intelligence trainer - in both the BarOn and the Daniel Goleman systems – he was also evaluated as an Alchemist on the Harthill Leadership Development Framework and sees the job of leaders not as gaining more followers but as growing more leaders.